If you through dieting and exercise were easy, maybe your diet hasn't plateaued yet. Here are ways to help you break through a weight loss plateau in style. When you stopped losing weight a way back and you started thinking about how to get off the diet plateau for good. In fact, not dealing with breaking through a weight loss plateau in the right manner could mean the difference between quitting your diet and deciding to stay in for the long haul. How is putting weight back on and being stuck in a plateau related? 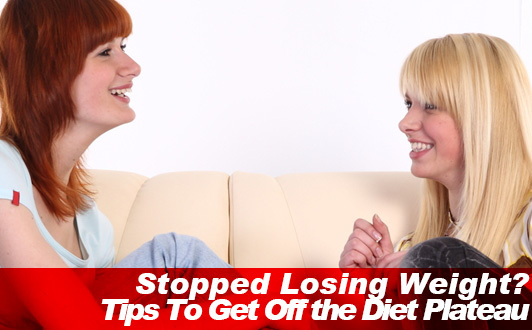 When you start to see your gains in weight loss slow down compared to the big leaps you made just getting started to lose weight, you begin to think that maybe the diet method you are currently on may be at its limit. What most people fail to realize is that hitting a plateau in the gains you make losing weight dieting and exercise is a given making your plans to lose weight seem like a complete and utter failure. 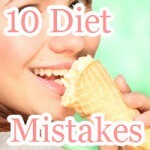 Just because you aren't losing the amount of weight you set out too doesn't mean you are failing at diet and exercise. Giving up when you hit a plateau in weight loss can lead to putting on the weight you lose rendering all your efforts meaningless dust in the wind to what it would seem. You're just not there yet. Getting stuck on a plateau and starting to quit your diet returning to your past eating habits instead of Eating in Moderation and daily intake at this point is said have a potential of erupting in weight gains causing you to weight even more than before in the end. Even though you are not necessarily overeating, returning to your past eating habits and reducing level of physical activity may cause you to put the weight back on. As you see, quitting in weight loss is the major reason why people gain weight. Quitting is not winning. Not overcoming a weight loss plateau is where people start to put back on the weight they lost. The reason why your weight loss gains begin to flatten out over time as you progress through your diet and exercise program is due to a little something called homeostasis. Homeostasis acts as an umbrella for many internal functions of your body including the maintenance of body heat. This is why when you drink something cold and the inside of your body cools down you core body temperature remains the same. A thermogenic process called non shivering thermogenesis is used to eat your body through muscle fiber or by way of brown fat cells said to be densely located around the area surrounding your back especially the shoulder blades. This is one function that falls under homeostasis as it concerns the human body. When you start to lose weight your body takes this as a sign that you lack in your intake of calories signaling that there might be a problem. How homeostasis affects this process is that in need of more energy it allocates space for energy to be stored such as your fat cells. In other words, your body starts to conserve more energy. Losing more than 5 percent of your body weight in a month is said to active homeostasis to prevent further deficits in the energy balance in your body potential sending your body into a state most commonly known as a weight loss plateau. Quitting your diet just because you've reached a plateau in weight loss doesn't change what is happening to your body all due to the mechanisms of homeostasis. Not knowing this quitting your diet and going back to the lifestyle you had carried out before going on a diet is worse than being stuck on a plateau. It may even be considered the anti-diet. Not only is it hard to maintain your weight right after quitting your diet but also with your body trying to recover from losing weight too fast, you may be in some trouble when it comes to keeping your weight the same. Breaking through this plateau in your diet can only be done by continuing to exercise and eat right giving your body the nutrition it needs to feel comfortable with losing weight. Don't worry about the length of time you spend in your time in a plateau. It's more important to keep pushing forward never giving up till you finally break through. Here is a quick look at what a plateau in your diet looks like graphed out just as you might see in a recording diet when Keeping a Diet Journal to keep track of the weight you lose carrying out diet and exercise. As seen in the above graph, there is a quick decline in weight for the first month. Commencing the second month, weight remains stagnant indicating a weight loss plateau. The length of time required to break through a weight loss plateau depends on how you lost weight in the first month. For people experience astonishing results in the first month of diet and exercise losing weight, the length of time spent in a plateau is said to be noticeably longer. In addition, people who manage to lose weight under strict dietary restriction such as sharp calories cutting will spend more time in a plateau than people using other less risky diet methods. One you break through the plateau, the best you can hope for is for the next plateau to come. Note that as you move closer to your ideal weight, the frequency that you spend in a plateau will increase. In theory, when you have reach your ideal body weight all there is left is to be happy with your body weight stuck in a never ending plateau. For most dieters ending up in a plateau is a struggle forcing most people to pack up their fitness gear and quit the diet game. Just because you aren't losing weight doesn't mean you can't succeed in your diet. Persevering is the only way to break a weight loss plateau. The first step in breaking through a weight loss plateau is understand how it will affect your ability to make out great in diet and exercise in the long run. Not understanding that plateaus are not the end of the world causing you to quit your routine all together is the first step in being about to break through the barriers that being in a plateau puts you under. Being in a plateau without understanding the not losing weight for a period of time is only natural can lead to stress only making matters worse. As you know being stressed out can through your routine off track potential leading in either skipping meals or binge eating overeating. Struggling too hard to get out fast will get you stuck! Most people try to get out of a weight loss plateau too fast scheming up unthinkable ways to lose weight. When in a plateau remaining conservative is the best you can do. So keep it up until the time is right. When in a plateau nourishing your body with essential nutrition such as protein, vitamins, and minerals puts you on the fast track for breaking through a weight loss plateau the right way. Getting more protein in your body may help increase lean muscle mass increasing your basal metabolic rate that in other words speeds up your metabolism. More vitamins and minerals in your diet make a big difference preventing weight loss from having a negative effect on other facets of your body such as your skin. Dieting to Cure Dry Skin starts with balance nutrition. That means getting the B vitamins, vitamin A, vitamin C, and vitamin E your body needs for great looking skin. The most important thing to realize about breaking a diet plateau is that sticking to the plan you set out waiting as long as it takes to get out with your diet method is the key to success. Again, getting out of a weight loss plateau may take some time so have patience.